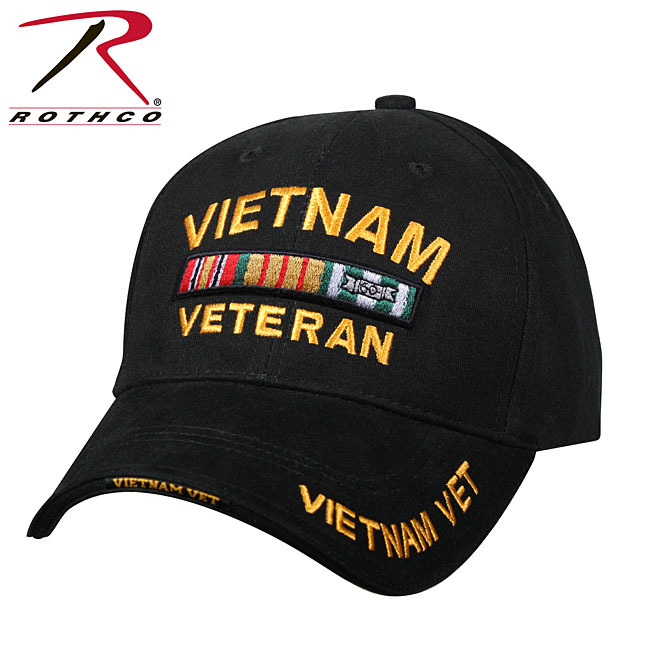 Deluxe Low Profile Vietnam Veteran Insignia Cap by Rothco, America's foremost supplier of military, tactical, outdoor clothing and gear, features a raised embroidered Vietnam Veteran lettering and ribbon on front panel, sandwich style brim, Vietnam Vet upper brim, Vietnam Vet direct embroidery seam tape with one color direct print. 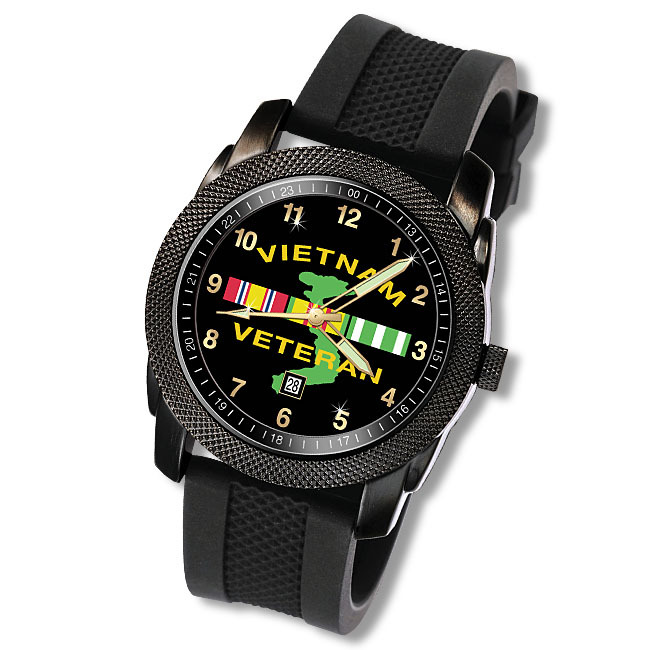 A deluxe 3" round fully-embroidered Vietnam Veteran woven patch with authentic ribbon colors is our free gift to you with your hat purchase. 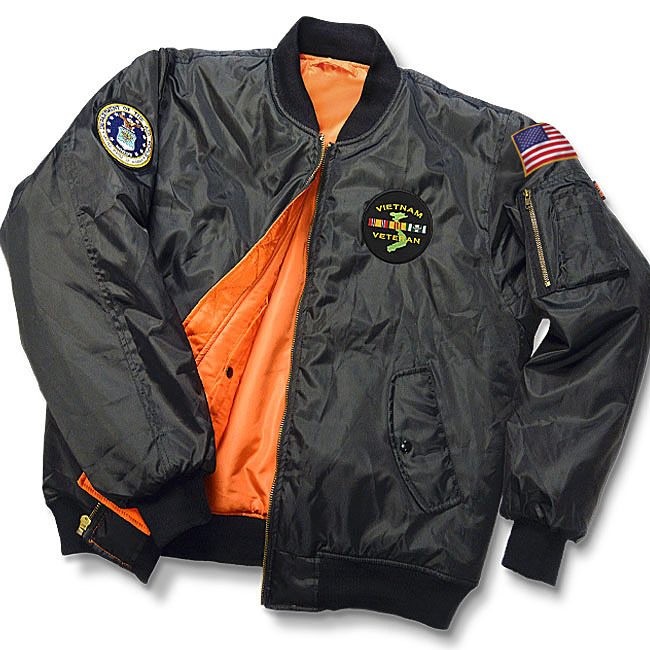 One size fits all 100% Cotton black cap with 6 vent holes and hook & loop fastener.